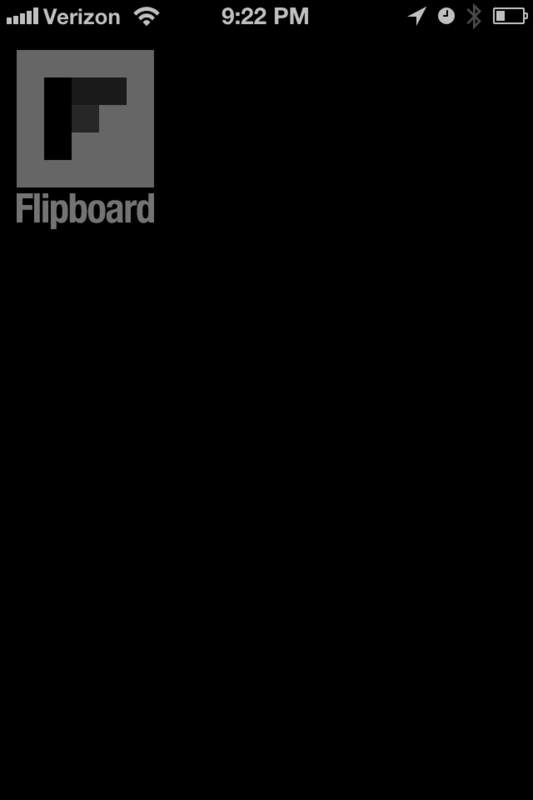 Social reader Flipboard is suffering its second outage following the closure of Google Reader this week — perhaps suggesting that an increase in data and users following the shuttering of the Google service may be the cause. The outage appears to have started around 8:43 PDT (more than an hour ago at the time of writing) based on the first Twitter users that raised the issue. 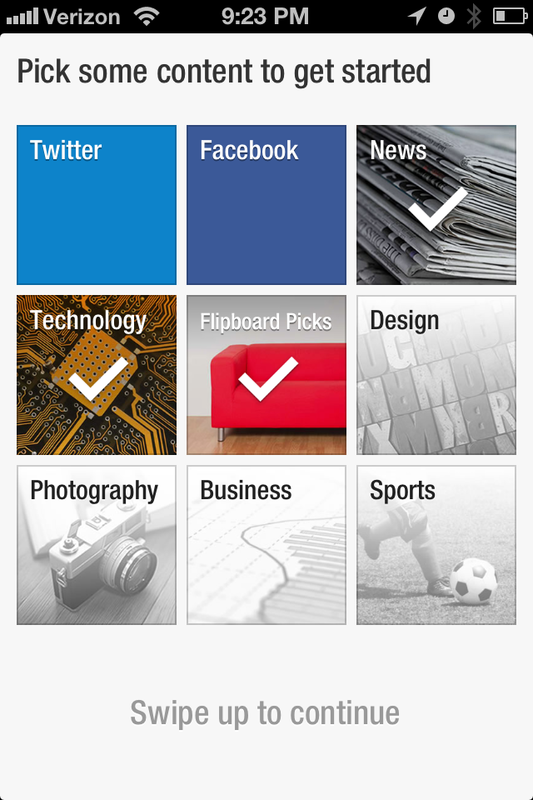 Update: Flipboard hasn’t tweeted any further updates but the service is back working again. 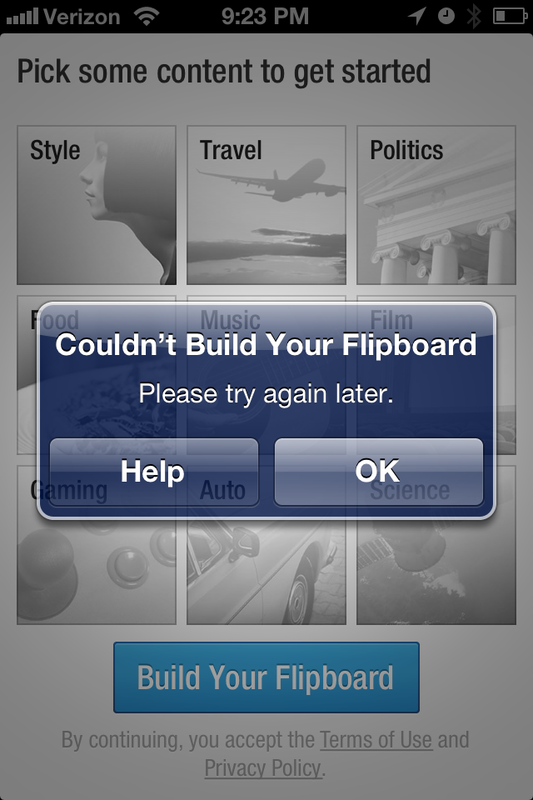 Flipboard users are unable to load news feeds nor browser or create magazines on the service, while associated features — such as Twitter and Instagram — are not working either. 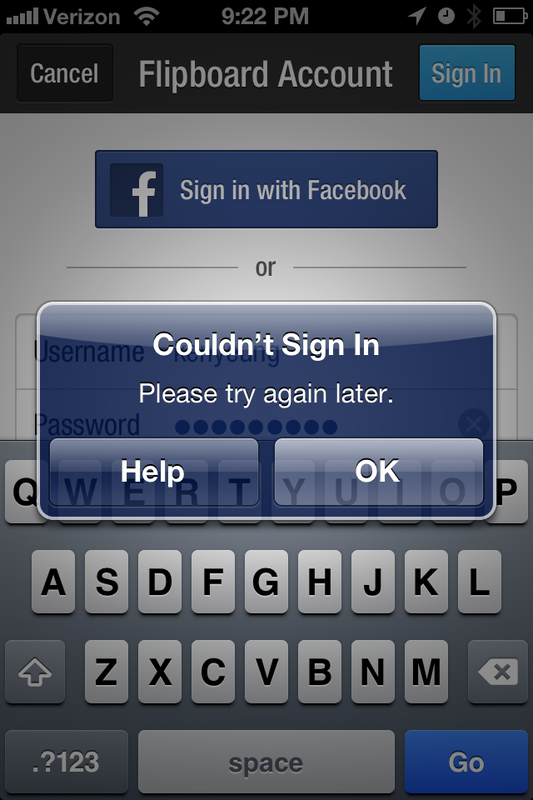 Here and at the bottom of the post are screenshots of what we at TNW got after loading the app. We are experiencing issues with the service. The team is working on it now. We will be back to normal soon, thanks for your patience. This outage is different to a Flipboard issue earlier this week during which the company experienced issues loading migrated Google Reader feeds into its service. That outage occurred hours after Google Reader was shut down, but Flipboard reassured its users that their precious Google Reader feeds had not been lost as some had feared. We’ve reached out to Flipboard to get more details on the issue it is currently experiencing, and specifically whether it is related to extra traffic and load following the closure of Google Reader.